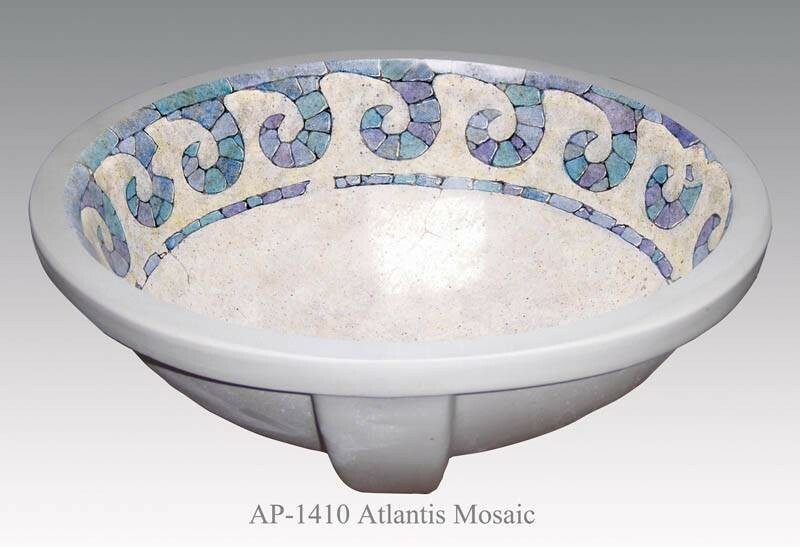 AP1410 White Monaco Small undermount sink with Atlantis Mosaic design. Inside dimensions 15 3.4" W x 12 3/4" D x 6" Deep. 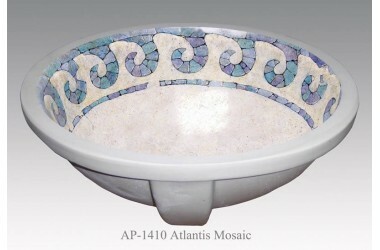 Outside dimensions 17 7/8" W x 15 1/4" D x 6" Deep. Center Drain with overflow.